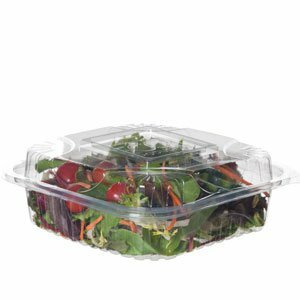 Skip the plastic and reach for this compostable 8" x 8" x 3" Clear Hinged Clamshell. Skip the plastic and reach for this compostable clear clamshell. Dimension: 8 in. x 8 in.